Don’t fall for the clean, green NZ hyperbole. Don’t drink the water if you value your health. All Havelock North schools have now closed because of the widespread illness caused by the town’s contaminated water supply. Lucknow School, Te Mata Primary, Havelock North Primary, Havelock North Intermediate and Havelock North High School closed yesterday after an emergency meeting between the e Ministry of Education, principals and board chairmen. The Red Cross Disaster Welfare Support team has been called in and Parliament’s Speaker has granted Annette King’s request for urgent debate on drinking water contamination in the town, one of many in New Zealand to have water quality problems. It is estimated as much as 1 million people drink water from unsafe or untested water supplies. So far, government support for the town has been noticeably lacking and they’ve steadfastly refused to call a state of emergency. Many people are having to buy their own medical supplies and drinking water from local retailers. The town has been devastated by the outbreak, and the streets are empty. Approximately 2,000 people have been made sick affected by the contaminated tap water. Overwhelmed local medical services have struggled to cope. TONIGHT: People gravely ill from campylobacter in Havelock North & the partner of a motorcyclist killed yesterday speak out. Tune in at 5pm. New Zealand’s massive intensification of dairy and other livestock farming generates vast quantities of animal waste materials. The nation has so many dairy cattle that the pollution from them alone is equivalent to the population of China. It should come as no surprise to hear that animal waste occasionally gets into the water supplies, as well as the many streams that are no longer safe for swimming and can only now be waded in. It beggars belief that towns the size of Havelock North still don’t have access to a disinfected, potable water supply, but do have fluoride added to their water. there is no mention of the record rainfall last week, the power knocking out all of the effluent pump station in Hastings / Havelock north and toilets backing up and overflowing, and the contamination of the storm water that followed this event, and as most people know aquifers fill from many sources including ground water. this highlights the lack of infrastructure to mitigate these risks, I dunno maybe backup generators on critical pumps might stop 2000+ people getting sick, as the article suggests it must be stock run off in Havelock north – so many farm in the middle of town!!! Hawke’s Bay District Health Board medical officer of health Dr Nick Jones yesterday said the majority of people presenting with the gastro illness were affected by water-borne campylobacter bacteria. He said animal faeces may have contaminated the water supply, possibly into the groundwater itself. Professor Nigel French, the director of the Infectious Diseases Research Centre at Massey University, said groundwater was much less likely to be contaminated than surface water.”But if it is campylobacter, based on previous experiences, it is most likely to have come from cattle and sheep and run-off of effluent/faeces,” French said. “However, campylobacter can also be carried by poultry and wild birds. There was a similar outbreak in Darfield in 2012. 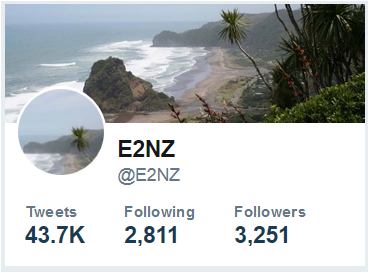 @E2NZ They keep ACC (despite seldom paying out) so ppl can't sue for negligence. Time that was reviewed. ← Havelock North Struck by Campylobacter Outbreak, Maybe it’s Time to Start Chlorinating the Water Supplies? I wonder if the govt reads statistics before they speak or if they’re just so used to lying without consequence it really doesn’t matter what b.s they tell the N.Z sheeple,in the last 12 month period immigration issued 209,000 work visas,17,000 N.Zers returned to N.Z to seek employement in the same period ,more fool them . That’s a large number of work visas for a very small country. I’m also sceptical as to whether NZ can cope with that level of immigration which will only increase if the Australian economy goes into recession, which seems likely, and a 100,000 or more Kiwis return to NZ. Presumably they all won’t find employment and many will claim benefits. The neoliberal dream will turn into a nightmare. I believe many New Zealanders will return from Australia when they are close to retirement age and the reality of life in Australia without a pension kicks in. Yes, you’re probably correct, the effect on NZ’s economy would be significant. The migration agreement was always a hare-brained idea and it has created more problems and friction between the two countries than it has solved. Judith Collins says that crime lack of Police and poor and insufficient infrastructure are a direct result of kiwis returning from overseas for the chance to live and work in a country made great by a John Key lead National party government .According to the Radio N.Z news ,200,000 work visas have been issued in N.Z ,I guess they better add water purification specialists onto the skills shortage list,applicant must be related to someone who already works for the council ,no particular skills or experience required if applicant meets the aforementioned criteria. 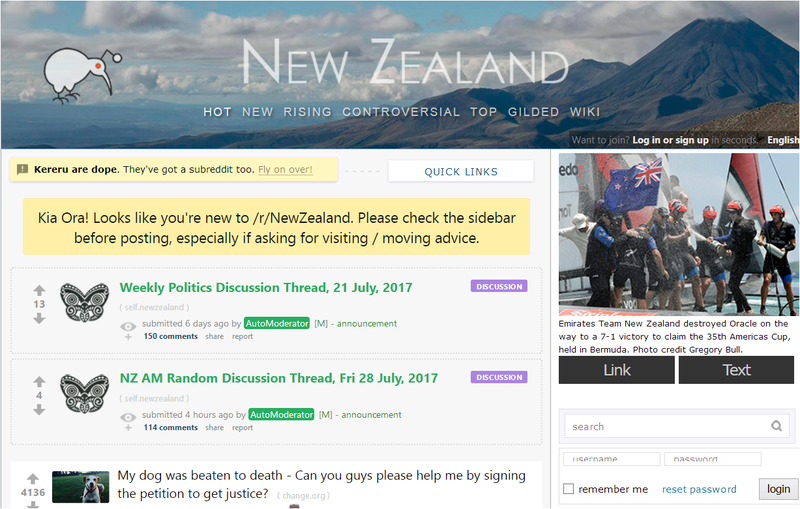 Nz has developed from a small scaled, layed back, agricultural economy based country into a xtremely overpriced polluting unbalanced shithole were people can’t afford a house. They are thence, rude unhigienic and shallow minded. In nz 1 in every 7 children developed lung diseases. Most People live in appaling conditions. The houses are below modern standards and are to expensive for middle class starters. It’s dusty, cold, dangerous on the roads. Trucks are devestating the environment. , Affordable food is of poor quality. The influx of people is enormous and the country can’t provide them with normal living conditions. In business it’s almost impossible to be fair because to many people are Liars and lack trust and accountability. What a disgusting damn disgrace. this all in contrast to the panoramic idyllic nature surrounding the overpopulated over polluted sickening cities where most people try to rip each other off and don’t care an damn thing about the immigrants building up their economy and also within Christchurch. Worse than not caring they will be happy to mold you until your broke and than kick you out with great pleasure.. oh yeah LEAVE BEFORE YOUR CONFIDENCE TOTALLY GETS FLUSHED THROUGH THE TOILET. Most kiwi’s will ensure you won’t have much of an healthy mind left Do yourself an favor and treat yourself with an long holiday in an friendly country where the food actually tastes good and where people will be happy with your stay before you resettle again. Believe me you’ll need it !! In Kapiti, bore water is a so called replacement for mains water in the summer when the rivers dry up. ITS BROWN! Supposed to be as good a quality as the normal stuff and all water is paid for via meters now in that region. The knock on effect of schools closing could be an issue too. Are the college students taking mock exams round there at the minute? The gastro thing is only small change compared to other diseases. Measles and rickets are still major problems in NZ not to mention a multitude of serious chest infections from the damp cold housing during the winter months. All sounds a bit like ’70s Britain to me. The 1770’s that is! “It is estimated as much as 1 million people drink water from unsafe or untested water supplies” – Jesus! What happened to “Clean and green New Zealand?” Obviously NZ has a serious pollution problem – we just don’t want to let the world know about it; it might lose us money! New Zealand truly is the land of lies! No matter where in the world you are or which “government official” you speak to – whatever you put into your mouth is your responsibility – (never believe that insurance companies will quickly compensate you for your pain and suffering even if it can be demonstrably proven to be someone else’s fault) so never let someone else say you are “being paranoid about your health”, always boil the water you drink.